What Are Some Great Gifts For My Child’s Birth Mother? When it comes to gifts for your child’s birth mother, the choices are not always easy nor are they abundant. The good news: with the rollout of the new Adoption Gifts website, Adoptiongifts.com, it is so easy to find a gift she will love and treasure for years to come! Adoption Gifts offers a wide variety of gifts for all members of the adoption triad but has a section specifically dedicated to gifts for birth mothers. Once on the website, simply click on the tab “Gift Guide” then the “Birth Mother” link to view everything available specifically for birth mothers. 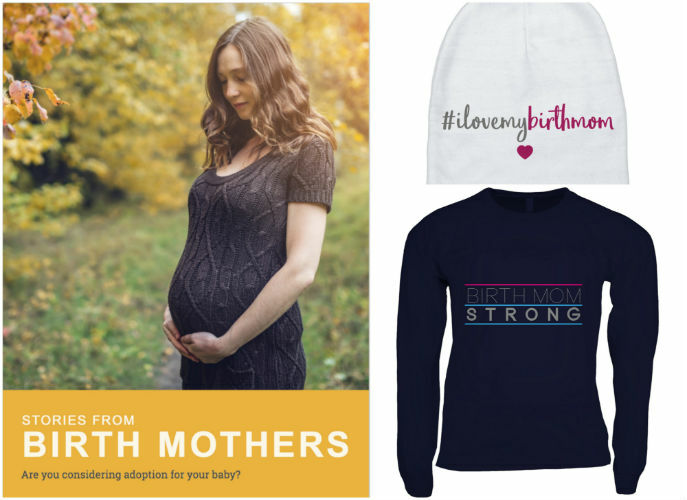 Here are three of my favorite options, sure to show your child’s birth mother some love! There is nothing quite like a good black long sleeve shirt that goes well with about everything! This shirt is one of my favorites on Adoption Gifts, as it highlights the strength of birth moms everywhere. The strength not just to make a decision, but the strength and love that they continue to hold in their life and for the life of their child. This shirt would be the perfect gift to tell your birth mother that you are not only appreciative of her, but know the strength she holds. Sometimes it is just good to know that someone has gone through what you are going through, and made it out on the other side. This book is a great gift to pair with the shirt mentioned above or another gift from the birth mother section. It holds a collection of stories from birth mothers who have gone through all different kinds of adoption journeys. It is sure to provide relatable insight as well as resources to help emotionally support a birth mother through various stages of the adoption journey. While this gift is not directly for your child’s birth mother, it is the perfect gift to let her know that she is thought of and loved daily! Especially in open adoption, this gift would be great for a child to wear on their visits and outings with their birth family. There are a million, “I love mom,” or “I love dad” shirts. This hat is specially made to honor birth mothers and their ongoing relationship and bond with their child. For more ideas for gift-giving, visit Adoption.com.